Gastro-esophageal reflux (GERD) is a disorder in which the stomach contents slosh back up into the esophagus (tube that goes from the mouth down to the stomach). When GERD happens in newborns and infants, it may be diagnosed as ‘colic’, it may be ‘silent’, or there may be problems that persist beyond the first few months. There are often a great deal of ‘spit-ups’ that occur, especially after a child is placed in the recommended face-up position. A refluxing neuro-typical child may cough or otherwise note their distress by wiggling or turning. When children start to get thicker formulas or solid foods, their symptoms can diminish and eventually disappear. When GERD affects a person who has decreased sensitivity to pain, it may present clinically as a behavioral disorder. Affected babies may not smile or pay attention. When the situation occurs in children who are extra-sensitive, the affected baby may cry ‘for no reason’ or scream in excruciating pain. Sleep may be affected. Socialization can become difficult. When liquid refluxes up into the ear canal, infection may ensue. Antibiotics are then certain to follow. A common treatment for this set of signs and symptoms is the prescription medicine Prevacid. This drug is in the category known as proton pump inhibitors. The idea is, if you make less acid, that won’t cause the pain associated with reflux. That implies that it’s the acid that causes the symptoms. Research notwithstanding; heartburn relief is certainly a clinical reality, given the number of GERD remedies that are sold each year. However, PPIs are supposed to address too much stomach acid, which is rarely if ever the formally diagnosed in adults, let alone children. For pediatric relief, however, a respected multi-center group recently concluded, “This study detected no difference in efficacy between lansoprazole and placebo for symptoms attributed to GERD in infants age 1 to 12 months… lower respiratory tract infections, occurred more frequently with lansoprazole than with placebo.” Get that? Lower respiratory infections occurred MORE frequently with this PPI. Antibiotics are certain to follow, again. What are we supposed to do about it? A 21st Century workup. The first step is to determine an accurate diagnosis before prescribing non-approved and potentially dangerous medicines. Testing whether antacids are effective is a good start. The diagnosis may be documented with a scope, an x-ray or a probe that checks pH. Then, there is testing for food allergy, which is real, at least in children. Avoidance of highly allergenic substances results in healthier bodies with improved core tone, normal gut flora and fewer aggressive behaviors. For premature infants, we neonatologists often prescribed an old standby called bethanecol, which proved safe and effective. It’s a medicine that promotes increased tone for the muscles leading into the stomach, thus resulting in symptomatic improvement in a much more physiological manner – not by altering the acidity of the contents, but by preventing the occurrence of reflux. Also, probiotics appear to promote a healthier cycle and less G-I problems, from decreased reflux to improved nutrient absorption to relief of diarrhea or constipation. Who said that it is OK to mess with the acid-base balance of the stomach, and the bacteria that live in our bodies and there won’t be increased and unknown risks to the patient? The bowel-brain connection has been established as an important entity in health for many years. A disruption of that system has created one of the groups of signs and symptoms that we presently call ASD. There are many new toxins in the 21st Century, and PPIs for infant colic/reflux is one of those new protocols that has caught on without much documentation of long term safety, including checking for associations with ASD. Perhaps it is the GERD, or the colic of unknown cause, or PPIs, or the infant who has low core tone (including the muscles of the diaphragm and esophagus), but it seems that during an epidemic as ubiquitous and devastating as autism, this association is key to our understanding and ability to help. This entry was posted on Sunday, May 26th, 2013 at 5:01 am	and is filed under >ALL<, Alternative and Complementary Medicine for ASD, Autism Therapies, Diets, Patient experiences, Sleep, Speech and Language. You can follow any responses to this entry through the RSS 2.0 feed. You can leave a response, or trackback from your own site. 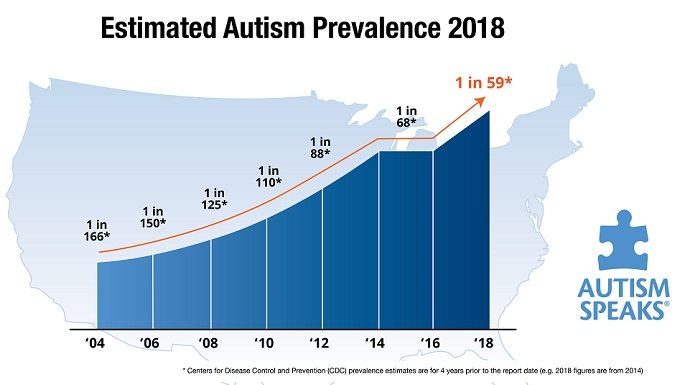 I just recently read that the CDC upped the number of autism cases to 1 in 50 children. 1 in 50!!! What is happening that this still doesn’t seem enough of a wake up call?! Even children who DO play outside, there is an increased incidence of low D… ??? Is it because of what happened to the ozone layer? My son is 7years old and been suffering with acid Reflux for 2 and half years . He has autism is on a low fod map diet and the highest dose of ranitidine he can be . It doesn’t stop it drinks bounce back up from the gut out his mouth with no heave . Proton pump inhibitors - substances that affect the stomach's ability to produce acid.